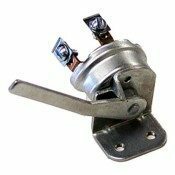 Universal Turn Signal Switch has chrome plated housing & arm and includes an emergency flasher feature. 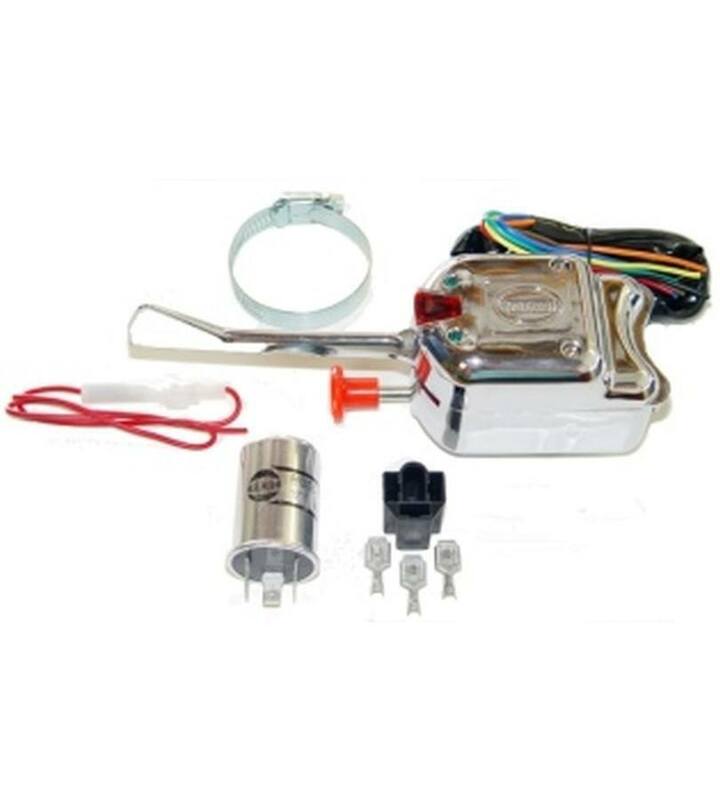 Indicator lights will flash on turn signal switch or in dash. Mounts on flat or rounded surfaces and comes with color coded wiring schematic. This turn signal switch comes complete with 3 prong flasher and in-line fuse. 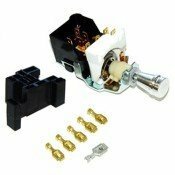 Switch may be used for any 12 volt system.